Calling all Vista users! If you need to edit a picture or photo on your computer it is extremely easy to do. 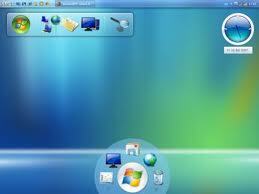 Windows Vista comes with a small program called the Microsoft Gallery viewer. You can easily edit an image in this program without having to remember any technical instructions. I do not think I am being ambitious when I say that â€œeven a three year old can do thisâ€. 1.Â Go to where your pictures are stored? Possibly in your pictures folder. 2.Â Choose the photo or picture you want to edit. 3.Â Select the image by clicking on it once and making it blue. 5.Â Choose Open With from the menu. 6.Â Another menu will pop out. Choose Photo gallery viewer. 7.Â The Microsoft Windows Photo Gallery will open with the picture you selected earlier. 8.Â Click on Fix. See the screen shot below. 9.Â A menu will appear on the far right.Â This is where you can choose how to edit your photo.